I am selling plant trios that were started from seeds in December. Tomato and basil plants are great for container gardening and taste great together too! Tomato and basil are one of the easiest types of plants to save seeds from. So keep it going year after year! 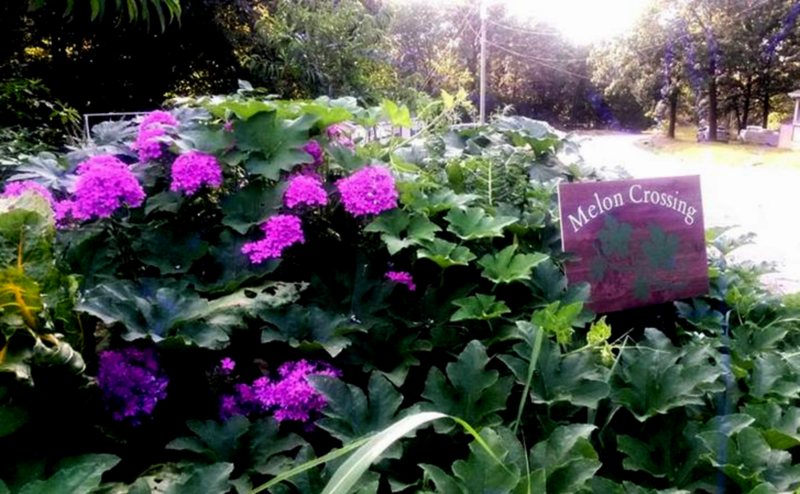 A Permaculture guild is more than fruit tree companion planting or planting companion vegetables and herbs. That's because Permaculture emulates the productivity of natural ecosystems by incorporating animals too. So, what is a guild? 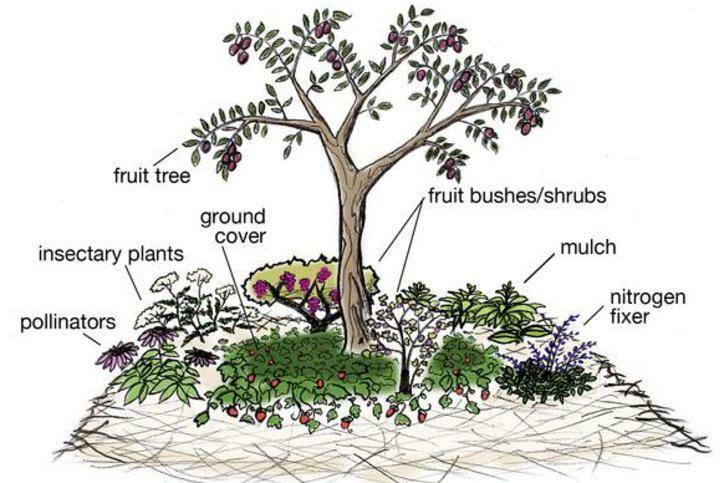 A guild in Permaculture landscape design is a harmonious assembly of species (plant or animal) physically associated with a central plant or animal species to provide it with some benefit. So, guild plant or animal species are strategically selected to boost the productivity of the central animal or plant element. The central element can be a fruit tree, for example. The guild members, then, must either improve its yield or reduce the work needed to manage it. By design, this enhances the overall self sufficiency and sustainability of the system. Turning our landscaping into "foodscaping"
We live in a typical 1/2 acre in-town lot, with a typical lawn, and typical landscaping. But what if your wanted to turn your yard into your grocery store... where do you start? Is it even possible? Well, that is what we are here to find out! Starting in October 2015, we are attempting to turn our lawn into beautiful, composted, garden soil without scraping the top layer of grass off... This is called the "no-till" method and it is the healthiest way to start your permaculture garden. So, I am taking pictures at important stages of this process! PDF of a Guild handout that we use for teaching. Feel free to reproduce it, use it for teaching, and share it with others. That is another Permaculture principle – Observe, learn, and share!